The Fish Creek Restoration Project is a long term issue addressing the sediment and nutrient loading from Fish Creek area into Twin Lakes. This large project encompasses 1600 feet of land along Fish Creek. 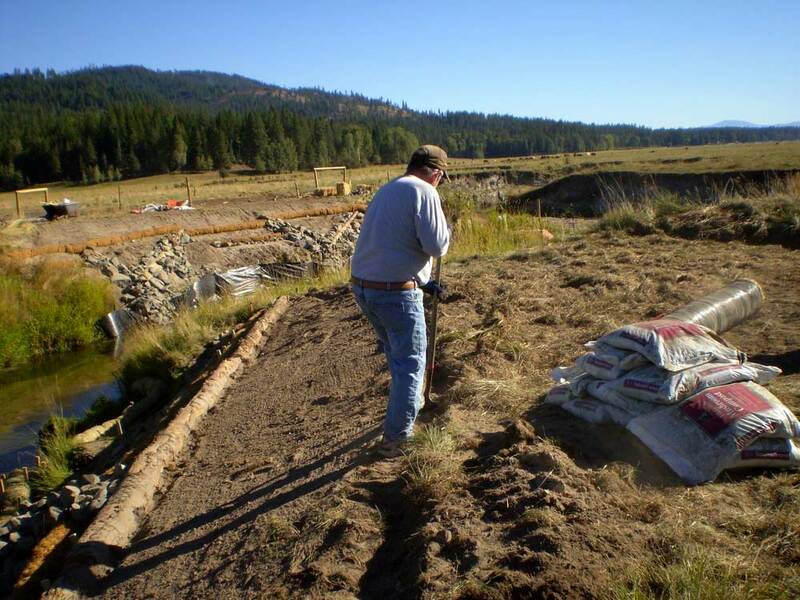 It is with great appreciation your Twin Lakes Improvement Association (TLIA) Board wants to recognize and thank all those who helped in 2013, to make the work on the Fish Creek Restoration Project (FCRP) a success. Without your support, the work could not have been completed. We thank all those who volunteered their time and those that supported the work by providing a financial contribution. Your work and financial support will improve the water quality of Twin Lakes for yourself and generations to come. The stewardship in addressing water quality issues, exemplifies the importance of community involvement. You can be proud of the work accomplished in 2013. Twin Lake residents and lake users can be proud of all the volunteers who put in personal time to help with this project. Volunteer time ranged from a few hours, to dozens of hours. There were over 1,600 volunteer hours provided during the 2013 construction period. There were volunteers of all ages, from young teenagers to retiree’s. Everyone brought a variety of skills and abilities to the site. Young teenagers worked alongside older teens, to dig post holes and place the corner posts (rail road ties) for the fencing. Volunteers of all ages completed 1,200 feet of fencing to secure the cattle on the ranch from the restoration area along Fish Creek. There were those who helped place logs, rocks and fabric in the stream bank, to secure the foundation of the stream banks. 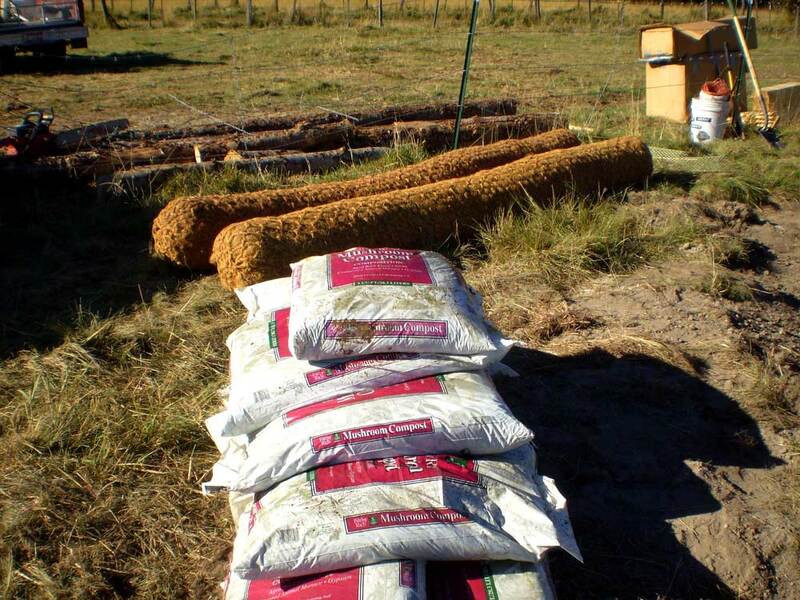 There were those who helped with the planting of thousands of plants, trees and shrubs. There were church groups, neighborhood groups, school groups, Boy Scouts and dozens of people just like you who stepped up and volunteered. Twin Lake residents represented only a small percentage of the actual volunteers. We are looking forward to more participation by those living at, or using Twin Lakes in 2014. Don’t sit on the side lines, step up and volunteer a day or two at the site. For those who are unable to physically work at the site, we invite you to make a donation to provide financial assistance. The volunteer work completed in 2013 was part of the Phase III portion (2013-2014) of the total restoration project. During 2013, restoration was completed on six (6) stream banks within a 1,200 foot section of Fish Creek. 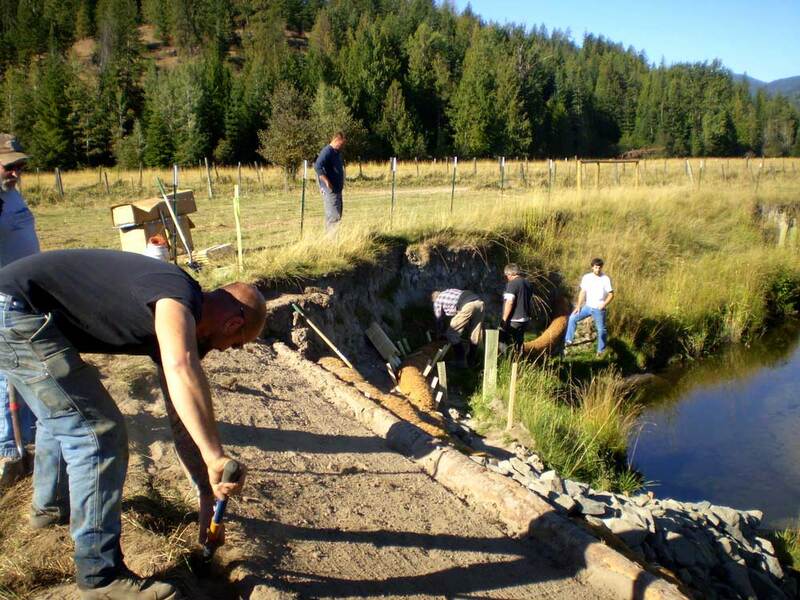 Work also began on the first of the two cattle crossings. The 2013 restoration work significantly reduced the erosion (sediment) during the 2014 spring run-off from the Twin Lakes watershed area. That is a reduction in sediment that did not end up in Twin Lakes. Phase III is funded thru donations from our membership, concerned property owners and community groups, and by a $140,000 grant from Idaho Department of Environmental Quality (DEQ). The grant match of $56,000 in donations and in-kind services, approved by the TLIA membership, is the 40% match by the total grant. During 2013, the volunteers’ and financial supporters contributed approximately half of our required match amount. 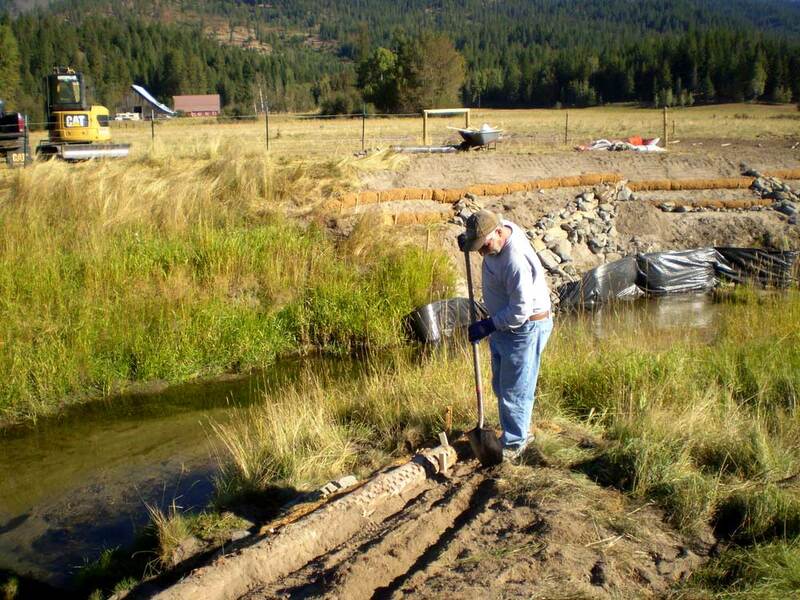 In 2014, we will continue the work to complete Phase III of the Fish Creek Restoration Project. This will complete stream bank restoration to the 1200 foot section we began in 2013. By the time this newsletter reaches our membership, the work season will have alreadystarted. We will work to complete the two (2) cattle crossings, additional fencing, complete any minor repairs caused by the 2014 spring run-off, and reconstruct six (6) additional stream banks. These projects are expensive and require financial support for equipment, supplies and professional help to complete Phase III. This is our 40% required match for the §319 grant. As we fine tune our work plan for 2014, we are asking each of you to help. Please put aside some time this year to participate at the work site. Please respond to requests for assistance. This is everyone’s lake and everyone’s responsibility to help keep it clean for future generations. We want to invite each of you back again. We also would like to have others who are benefiting from this work, to step up and help those who are working to improve your lake water quality and experience at Twin Lakes. If you know someone who volunteered, please be sure to thank them. Twin Lakes, previously named Fish Lake, became a popular vacation spot in the early 1900s. People arrived at the lake by horse-drawn wagon or train. Several steam-powered boats served the lake by picking people up and ferrying them to their destinations and by delivering groceries to vacationers’ cabins. Twin Lakes had a sociable atmosphere created by various hotels, resorts, dance halls, and boat parades. Bing Crosby, prior to his notoriety, and his cohorts performed locally and were known to canoe to Rathdrum via the creek on Saturday evening. The lakes have remained throughout the years an enticing and unpretentious place for recreation including fishing, swimming, boating, and waterskiing. Twin Lakes Improvement Association is a registered 501(c)3 Non-Profit Organization #82-0394746 – Incorporated October 4, 1956. The goal of the Association shall be the improvement and ultimate preservation of the historic natural values of Twin Lakes for all users. The Twin Lake Improvement Association membership extends to 1,200 residents on and around the lakes.